This week's giveaway is from Emily of VermEar Designs. She is giving away this fun necklace. Emily made this great statement piece with dyed shell fragments, combined with silver beads and jingle shells for the perfect accompaniment for your beach or summer ensemble. The featured shells in this necklace are "Common Jingle Shells," or Anomia Simplex, collected by a friend of Emily's who lives on one of the best seashell islands in the country, Sanibel Island. "Shelltastic" is her favorite saying. Contest ends Saturday, August 10th, at 12:00 noon Central. One winner will be chosen by Random.org. 7. Become a Facebook Fan of VermEar Designs. Comment back here with your Facebook name. Existing fans just leave your Facebook name here. 8. Follow Emily on Pinterest. Comment back here letting us know you are a follower. Hungry? You will be. 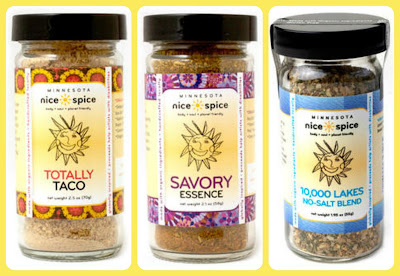 Debb of Minnesota Nice Spice creates organic seasoning blends and will help you liven up any meal. Totally Taco is a wonderful addition to ground beef, chicken and ground turkey. Savory Essence blend boasts 16 herbs and spices and complements any savory meal, and 10,000 Lakes No-Salt blend packs a wallop of pure organic flavor that begs to be enjoyed in soups, stews, and sauces; mixed into marinades, and sprinkled liberally over meats and seafood. Debb encourages customers to experiment with her seasonings. Each blend is handcrafted in a kitchen just outside Minneapolis using certified organic ingredients. 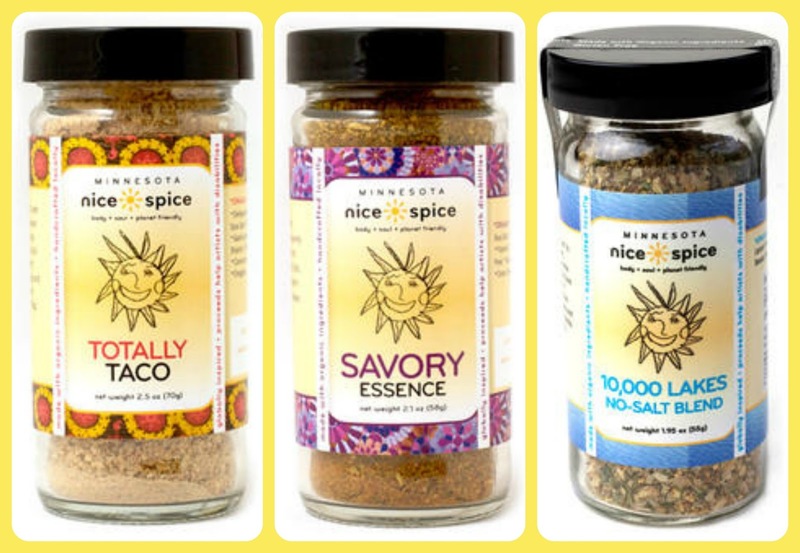 Visit Minnesota Nice Spice, pick your favorite item and leave a comment on this post about it. (Scroll to bottom of post and click on Comments) Please make sure you include your email address so we have a way to contact the winner! 7. Become a Facebook Fan of Minnesota Nice Spice. Comment back here with your Facebook name. Existing fans just leave your Facebook name here. 8. Drop in and learn more about Minnesota Nice Spice. 9. Follow Minnesota Nice Spice on Pinterest. Comment back here with your Pinterest link. Existing followers just leave your Pinterest link here. Contest ends Saturday, August 3rd, at 12:00 noon Central. One winner will be chosen by Random.org. 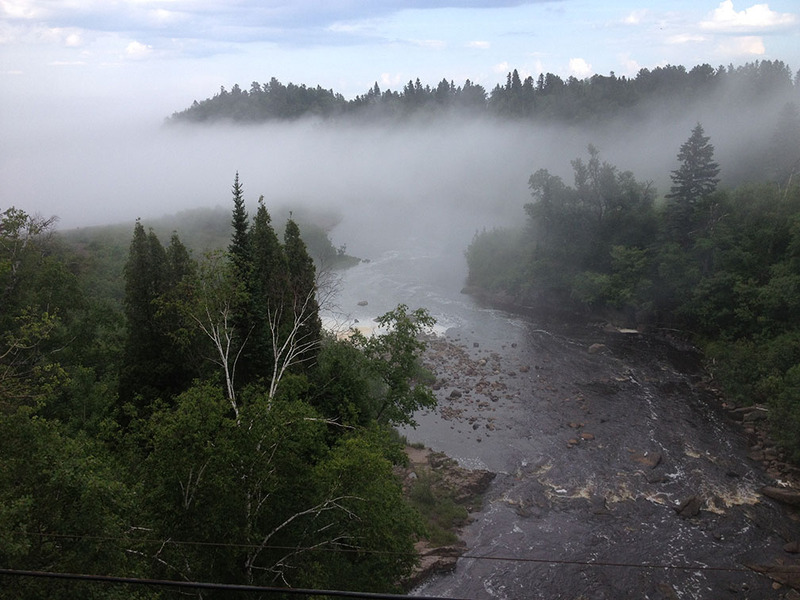 There is surely no place better to be when the rest of the state is sweltering under a heat wave than on the North Shore of Gitche Gumee, aka beautiful Lake Superior. The beauty of the North Shore isn't just its unique micro climate, of course; it's found in its amazing geology, including the miles and miles of pebble beaches edged by basalt cliffs, the verdant woodlands lining the scenic drive north of Duluth, the many stunning views of the lake, the wildflowers lining the highways (lupines blooming everywhere at this time! ), and, well, it goes on. Not that I'm working for the North Shore tourism board or anything. 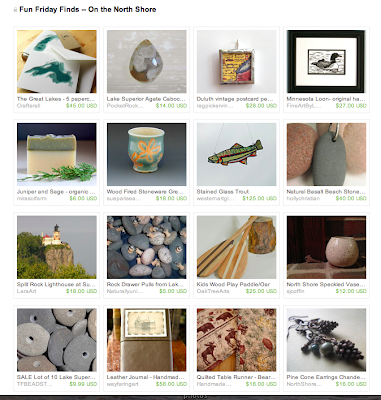 As the Minnesota artists and artisans featured below attest, there is much to celebrate about this jewel of the north. This week's giveaway is from Sue of Susie B Handicraft. She is giving away this clever tote bag made with recycled videotape! 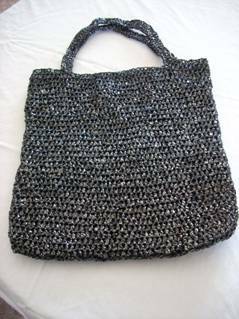 Tote your stuff in style with this bag, hand crocheted with VCR tape. Measuring 15 1/2" x 15 1/2", it has double handles that are 1" x 16". Although it looks delicate, this light-weight bag is strong enough to carry books, groceries, gym clothes or pretty much anything else you need to haul around. To clean, swish in soapy water & hang to dry. Contest ends Saturday, July 27th, at 12:00 noon Central. One winner will be chosen by Random.org. 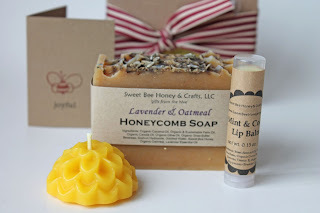 This week's giveaway is from Myla of Sweet Bee Honey & Crafts, LLC. She is giving away this Bee Joyful gift set. This gift set is a wonderful sampling of handmade cold-processed soap, lip balm, and a small beeswax flower candle which will all come packaged in a small kraft gift box with ribbon. Please note that you will receive a mint & eucalyptus honeycomb soap, mint & cocoa lip balm and a flower candle and not the varieties as pictured. The soap ingredients are high quality oils and pure essential oils, and many of the ingredients are organic. The lip balm has a wonderful texture and scent from simple, natural ingredients. Myla uses unrefined, filtered beeswax from her hives and adds luxury oils to make a firm but smooth lip balm. Pure essential oils are used to add a wonderful scent and slight flavor to the balm. Each beeswax candle has been hand-poured in small batches and is made with 100% pure beeswax and a cotton wick. Contest ends Saturday, July 20th, at 12:00 noon Central. One winner will be chosen by Random.org. 7. 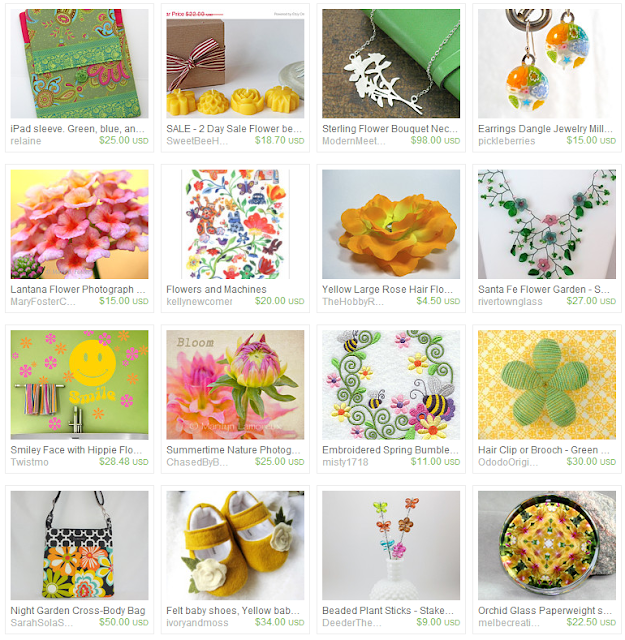 Become a Facebook Fan of Sweet Bee Honey & Crafts, LLC. Comment back here with your Facebook name. Existing fans just leave your Facebook name here.